Wonderful Louisville location in Parkwood near trails, schools, parks, the newly renovated rec center, bus, shops and Old Town Louisville. 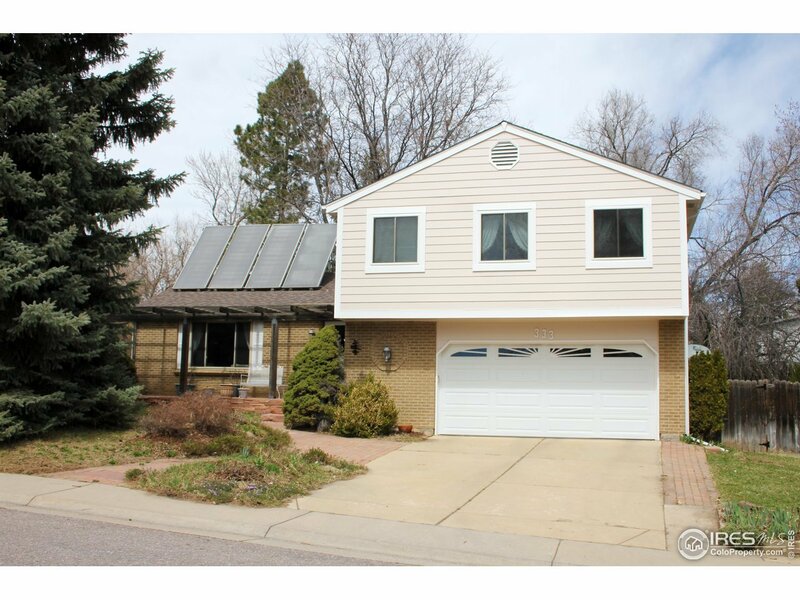 This lovely home has four bedrooms on the upper level, hardwood flooring throughout the main level, new carpet, solar panels to heat water, central vacuum system, new roof & gutters. Spacious floor plan with a partially finished basement and ample storage in the unfinished area.